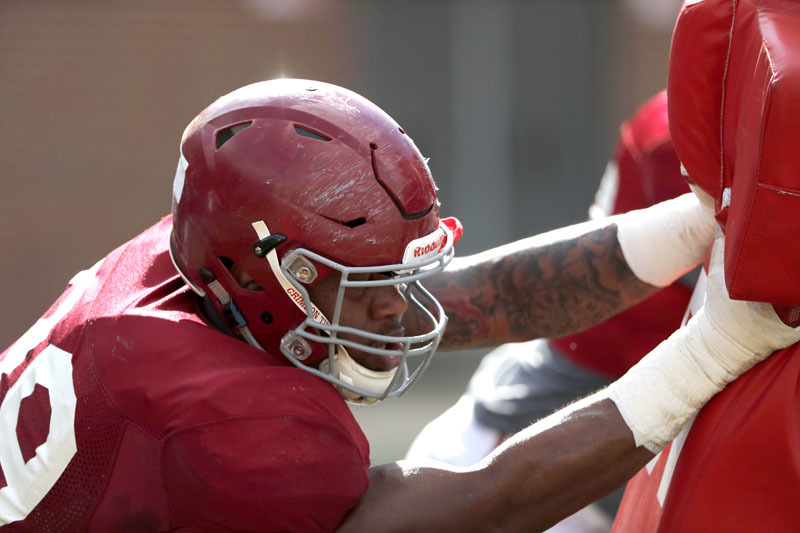 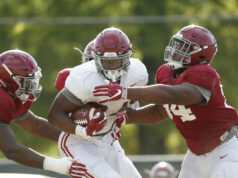 TUSCALOOSA, Ala. – The Alabama football team wrapped up its 13th of 14 spring practice sessions on Tuesday afternoon with a two-hour session in full pads on the Thomas-Drew Practice Fields. 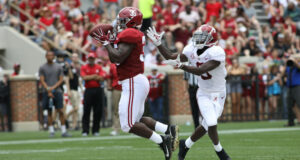 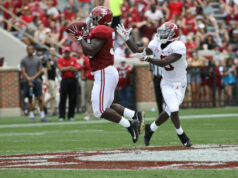 Alabama will return to the practice field Thursday, April 11, to make its final preparations before spring drills conclude with the annual Golden Flake A-Day Spring Football Game on Saturday, April 13 at 1 p.m. in Bryant-Denny Stadium. 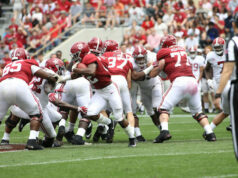 The game will be televised on ESPN2 with Tom Hart and Todd Blackledge working from the booth while Laura Rutledge calls the game from field level.